A simple way to crank up VNC on demand. ZFS, the first modern Open Source file system, was released years ago. The Copy on Write (CoW) capability of the file system offers distinct capabilities, such as inherent capability to understand the state of the file system over time. The ability to provide nearly unlimited snapshots to the file system is an example of the features capable with CoW. The ability to offer the user differences between snapshots was recently introduced into OpenSolaris. Recently introduced into OpenSolaris, PSARC/2010/105 provides the ability "to describe what has changed between the snapshots of a dataset" based upon ZFS. The output describes the changes noted between the ZFS datasets. Multiple revisions of code can be tracked through a regularly scheduled cron to snapshot the ZFS file system, today. Developers, with minimal work, can roll back to old code, when applying snapshots to filesystes on a regular basis, today. The addition of the "diff" gives developers the ability to understand the other dependencies, if multiple changes happened to multiple files at the same time. Capabilities are provided in a transparent way where no additional time must be consumed by developers, making the more efficient, driving a fiscal reason to move to ZFS under Solaris. If a production environment starts experiencing problems, the snapshot diff can be used to find out what seemingly unrelated changes could have affected the production environment, driving an availability reason to move to ZFS under Solaris. This is a simple way to audit production systems, guaranteeing the integrity of production platforms against virus infestation, driving legal reasons to move to ZFS under Solaris. Virus scanning of media can be significantly quickened if seeding the scanner with the diff between snapshots, reducing overall load on disk subsystems as well as CPU capacity, extending the life of existing infrastructure while meeting existing security requirements. Snapshots can be taken while applications are in "hot backup" mode, or during a nightly restart of an application. Differences can be backed up using the diff, instead of the less efficient checking every file handle for changes, allowing for more efficient backups to be done against an application in production, better meeting business continuity requirements. 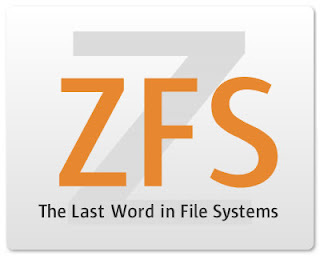 There are numerous benefits to ZFS Snapshot differences that can change the way businesses do computing today - if the businesses decide to leverage them to meet their development, fiscal, legal, security requirements, and business continuity requirements. Under Solaris, users could configure some flat files and reboot a system in order to bring up their machine on an IP network. The startup scripts under Solaris traditionally leveraged the straight "ifconfig" command to add the network interfaces for the IP layer. The command for managing interfaces as the data link layer had been "dladm". Sun also bundled "IPFilter" into Solaris 10 for firewalling and NAT'ing. Configuring the various IP interfaces has been somewhat complex, so a new user friendly command has recently landed in OpenSolaris to help: "ipadm". The "files" method is persistent across reboots, but of course requires a reboot. If a reboot is not possible, then follow the instructions below to perform the On-Line Method of configuration. For people who can not afford to perform reboots of a system, interfaces can be added while the operating system remains on-line using the "ifconfig" command. Assigns an address to a plumbed interface. In order for on-line changes to be persistent across reboots, it is important that the Configuration File Method has already been followed. With the PSARC/2010/080, OpenSolaris includes a unified interface to build interfaces on-line, which can also be made persistent. For some examples on how to use the new OpenSolaris "ipadm" command are here. We are all looking forward to this making it into Solaris! Look through results for 'ethernet', 'network' or similar words. There will probably be multiple network devices. Have you spoken to teachers who complain about getting their work done in the classroom when the school provided computer breaks down and there is no simple way for the teacher to fix it within the time allotted when attendance has to be taken in home room and submitted before 1st period? How about trying to do a lesson and having the smart board or computer break down? A SunRay UltraThin Client is the way to go in these demanding environments where 100% uptime is really needed in these rigid time-demanding environments. No need for a teacher to have to worry about anything, just plug it in and watch it work. If the SMARTBoard breaks, plug in a another one. If the SunRay breaks, just plug in another one. OK - this is really awesome... Thanks WerkPlek! "Video shows how we installed and configured a Sun Ray DTU with a SMARTboard in a classroom. 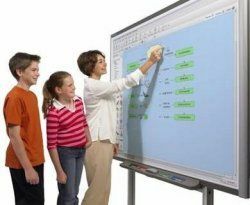 A digital blackboard (this one is white :-) is very popular today at schools." The Sun VDI is a flexible architecture with many possible options to plug in. Good News for Large SNMP Performance Management! Thanks to SNSEuope for the good news! 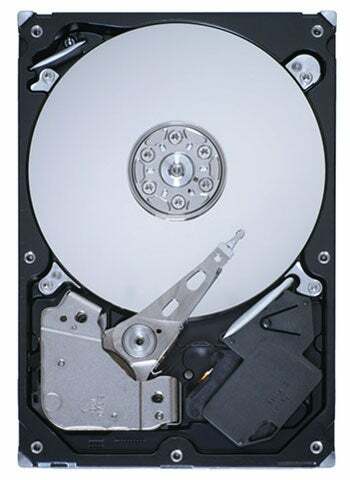 Seagate is now shipping its 3.5-inch Constellation ES drive, the industry's first 2TB enterprise-class drives featuring 6Gb SAS, to customers worldwide. Designed specifically for multi-drive nearline storage environments, the Constellation ES drive has been qualified by leading enterprise OEMs and system builders who demand storage solutions of the highest capacities with increased power efficiency, enterprise-class reliability, and data security that their customers demand. The Constellation ES drive leverages Seagate's 30 years of leadership in meeting large enterprise customer needs in product development, qualification, and support. Businesses were forced to use 300GB drives to build large storage systems to hold large quantities of collected SNMP data in a managed services environment. With these new drives, there will be the ability to more reliably hold vastly larger quantities of data per chassis! With typical a typical enterprise chassis holding 6.6x the storage, a singe ZFS file system will supports a lot more customers in the same form factor. Many other legacy file systems will top out at 16 Terabytes, making even the smallest external disk chassis with 2 Terabyte SAS drives a burden from an OS and Application perspective. Adding 6x the quantity of memory to an existing computing chassis, to properly cache 6x the disk capacity, is most likely not a reasonable option, without buying computing platform. With ZFS, the ability to leverage a PCIe slot for read and write caches, will provide superior performance and linear scalability for those very same applications with the larger disks (as they are filled to capacity) than non-flash and non-ZFS based systems. This means, adding more disks will scale more linearly, without adding substantial quantities of RAM for in-memory cache, since popping in another PCIe card will do the trick. This is GREAT for everyone - the Managed Services Provider, whose costs will decrease, as well as the Customer, who will receive lower prices for the services received!